Spring here in the DFW area is the time of the year where the sun is warm, the breeze is cool, and you can actually be outside for more than thirty minutes without breaking a sweat. Spring is also the most important season for lawn care, and while we are nearly halfway through it, there is still plenty of time for lawn services before the inevitably daunting summer. A healthy summer lawn starts and ends with lawn care services during the spring. Winter can alter pH and compact soil, creating friendly conditions for weeds and diseases. This makes proper fertilization and lawn maintenance before summertime crucial. One of the more common issues for lawns after winter is uneven ground. These situations create poor growing conditions for grass. Low spots cause poor drainage, while higher spots are often scalped during lawn mowing. Another common problem is soil compaction. This occurs when soil gets densely packed, making it difficult for grass to root and allows weeds to take over. To test for soil compaction, stick a garden fork into the ground: if the tines fail to penetrate 2 inches, your soil is compact and must be loosened for proper lawn care. After you have cleaned and repaired your lawn, there’s a good chance you may need to re-seed parts that are brown or bare. The first thing you will need to do is address soil conditions that prevented growth in the first place. Get a soil test to help determine what nutrients your grass is lacking. 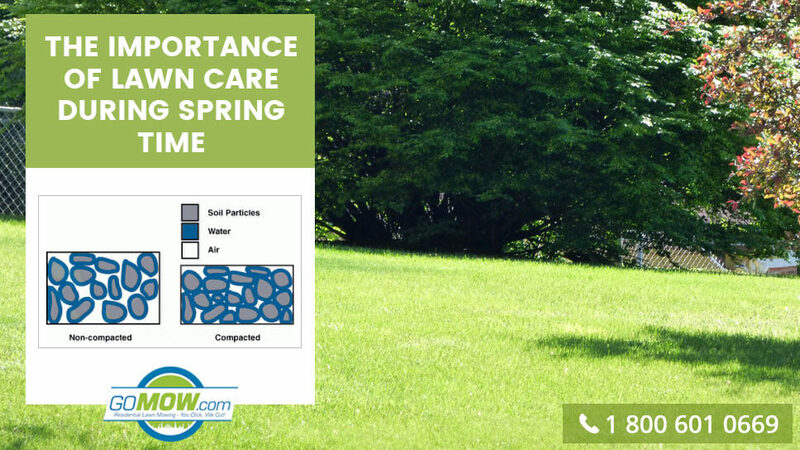 Once you have corrected the soil composition, make sure you aerate to avoid further soil compaction issues and ensure proper lawn maintenance. Now that your grass is well-established, you can encourage growth by applying a combination of fertilizers and herbicides. 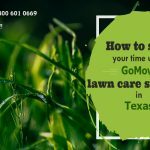 When and how much you should apply these substances depends on several factors; contact Go Mow for trusted referrals of fertilization companies in the Dallas, Plano, and Garland areas. It may come as a surprise to you, but there is more to lawn maintenance than simply starting the lawn mower and pushing it around the yard. Grass height and mowing frequency are extremely important for proper lawn care. While it may lower the number of times you have to do yard work, cutting your grass short can be very harmful, and is not proper lawn care maintenance. A short cut can remove nutrients stored in leaf blades and expose soil to the sun, fostering an environment for weed growth. Taller grass has larger root system and a higher heat tolerance, which is awfully important considering the summer we are expecting here in the Dallas, Plano, and Garland areas. It also helps shade the ground, allowing soil to retain water more efficiently. 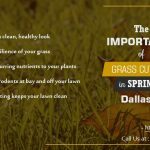 While this may be a lot to take in, you can count on Go Mow, the most trusted Dallas lawn care service in DFW, to know the best way to treat your lawn. Even if you haven’t done much to cultivate your yard this year, you still have time. 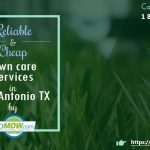 If you are in the Garland, Plano or Dallas area and have questions about lawn care maintenance, give Go Mow a call today! Celebrate Mother Earth on April 22, 2013!